When we first announced here on the blog that we were expecting Sam, I remember smiling at a sweet comment from one of you dear readers: “Enjoy sewing for that sweet new baby.” I smiled because not only was I indeed so excited to get sewing for our new baby, but also because you guys know me so well that you could anticipate that desire so quickly. 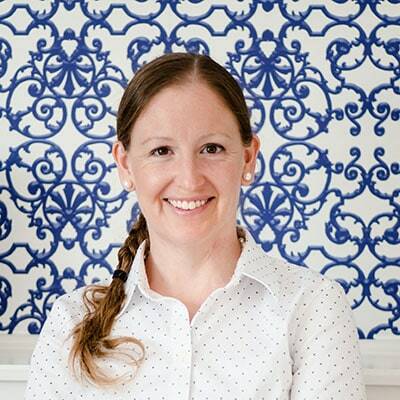 Many of you long, long, long-time readers might recall that sewing baby items was one of my favorites aspects of preparing for Henry, and I couldn’t wait to do the same for Sam. 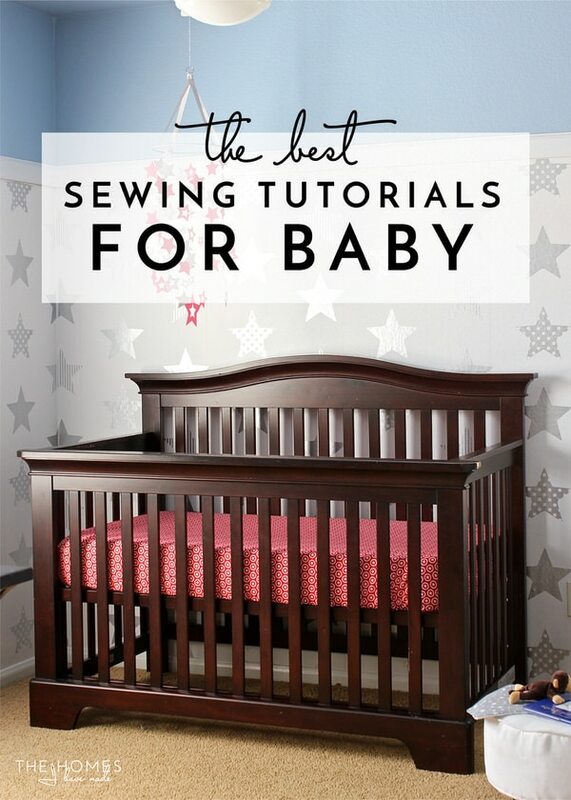 Now that life is settling down a little bit, I thought I would share my very favorite sewing tutorials for baby that I have now tested not just once but twice! 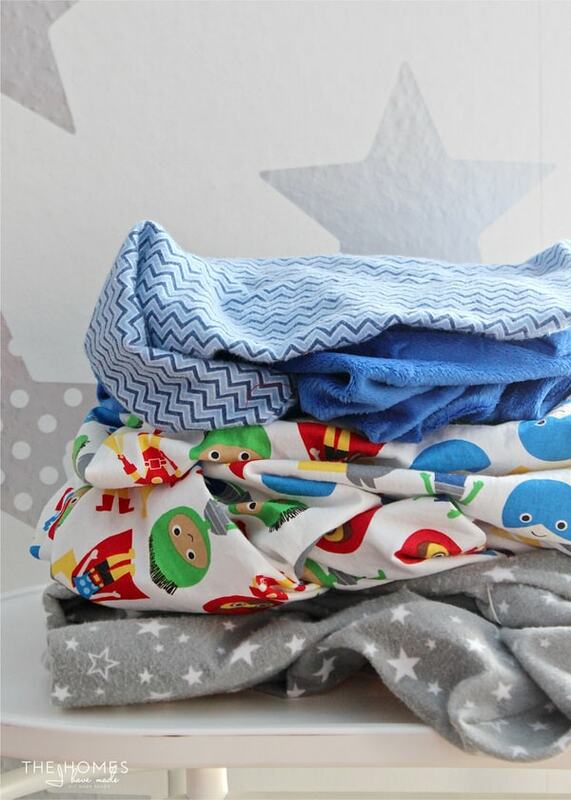 Once we found out we were expecting Sam and I finally nailed down a design plan for his nursery, I was literally chomping at the bit to turn this pile of darling fabrics..
…into charming and useful items for him and his nursery! 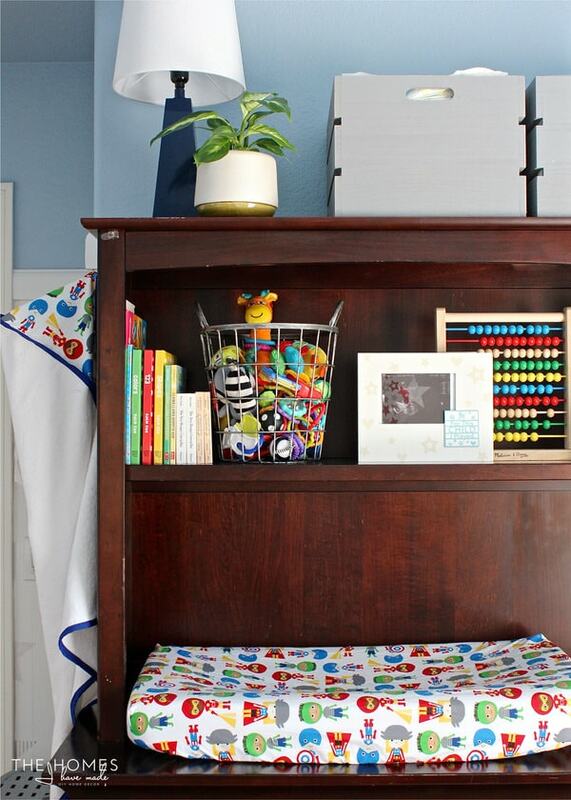 Most of these sewing tutorials are the ones I used 6+ years ago when I was outfitting Henry’s owl nursery. These projects really stood the test of time and proved their usefulness, that when I went to sew the same items for Sam, I referred to the exact same tutorials (after some hunting around to find them again!) These tutorials are simple enough for even novice sewers and are such a fun and special way to prepare for a new baby! If you or someone you know is expecting a baby soon, I highly recommend checking these tutorials out! 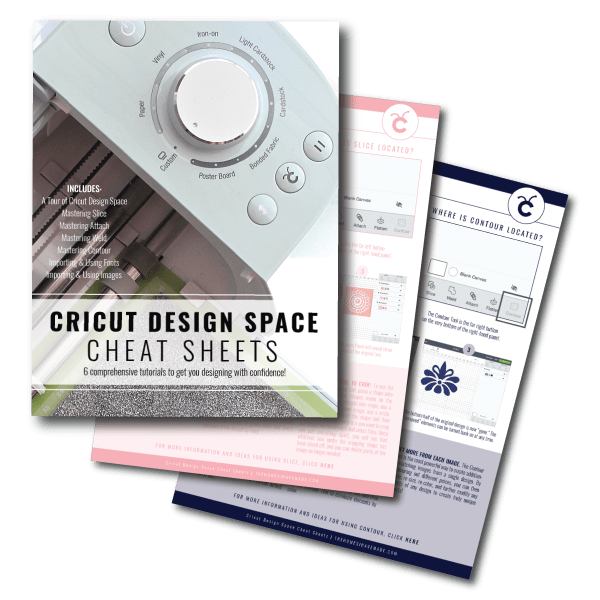 Crib Sheet Tutorial by Pretty Prudent. 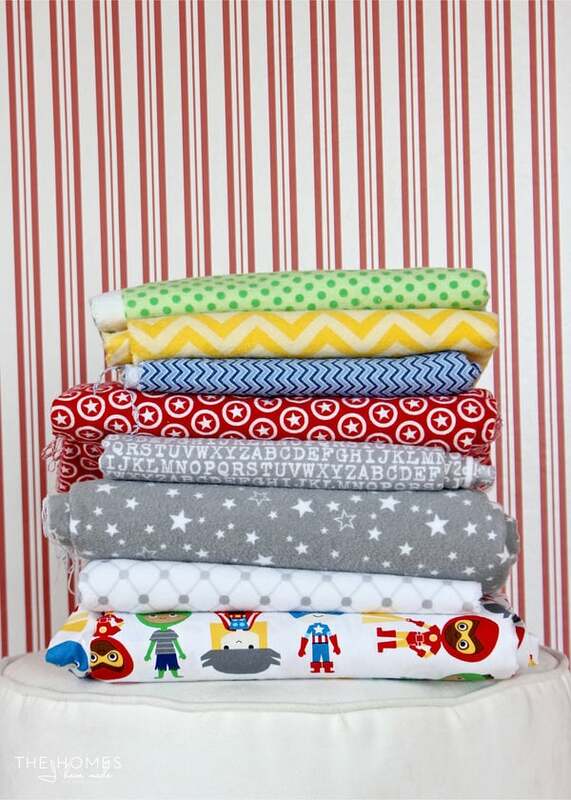 I love sewing my own crib sheets because it is such an easy way to incorporate some really fun kid and baby fabrics into a room. 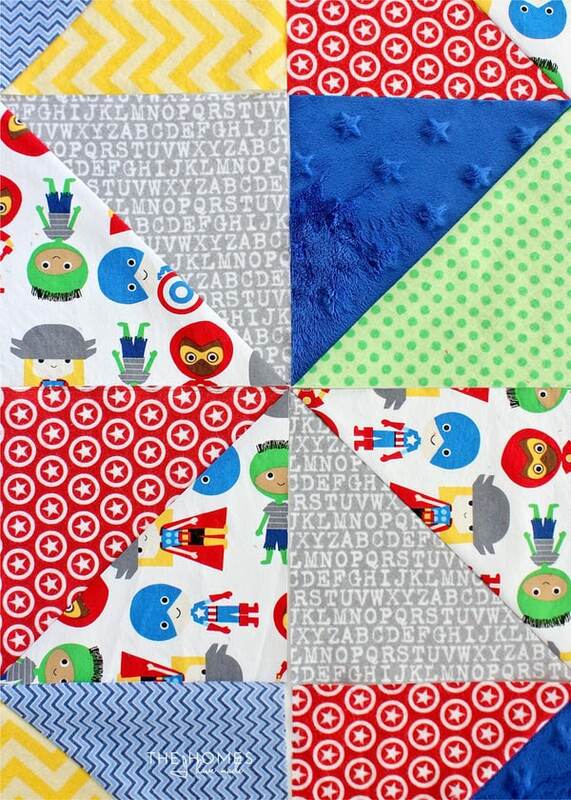 I like to use quilting cotton and flannels because they tend to be inexpensive, are available in a wide array of patterns and colors, and are the perfect width for crib sheets (meaning cutting and sewing them together is super fast!) 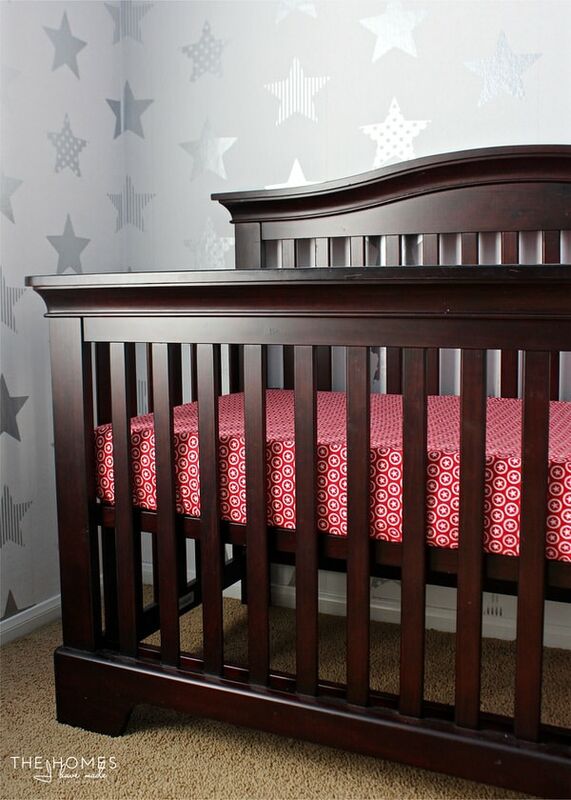 For both Henry and Sam, I made three crib sheets mainly because I wanted to use more fun fabrics. However, in the early days of spit-ups and blow outs, having multiple sheets certainly comes in very handy! 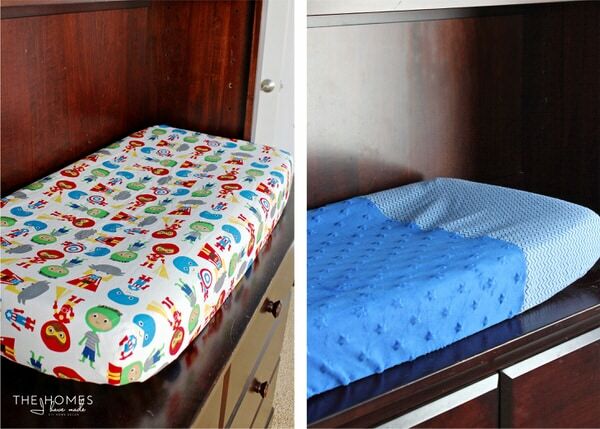 Changing Pad Cover Tutorial by Prudent Baby. Changing pad covers are just like crib sheets, only smaller. 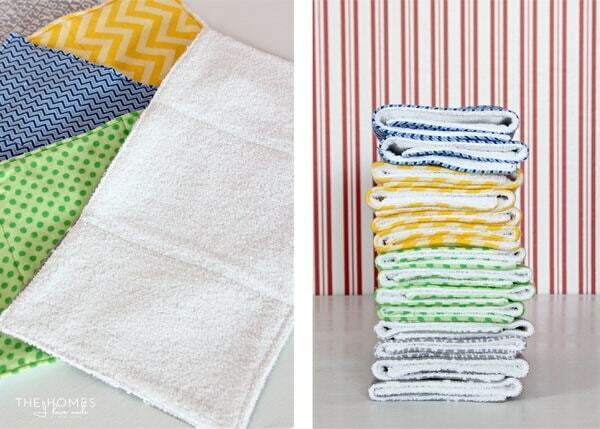 Like the crib sheets, I prefer to use quilting cottons and flannels in fun patterns and colors. This time around, I also made some using minky, and I love the plush and cozy softness they provide baby during diaper changes. 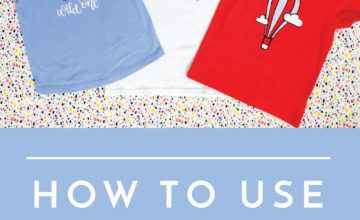 I especially love this tutorial because it shows you how to use two fabrics if you wish (one for the head area and another for the body area), which is a great way to add in even more fun fabrics to your nursery. I made three of these also, which I highly recommend since they get swapped out pretty often in the early weeks! 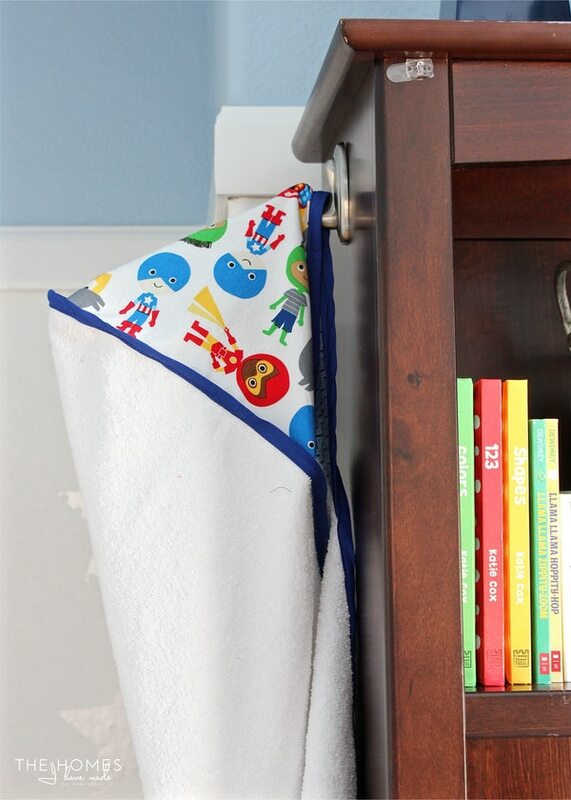 Hooded Baby Towel by Sew4Home. 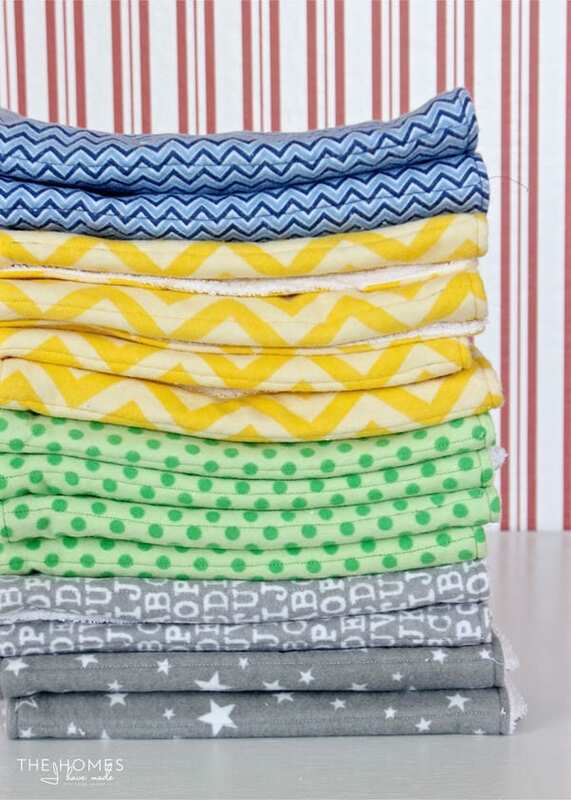 This super simple hooded baby towel is my other go-to gift for babies. 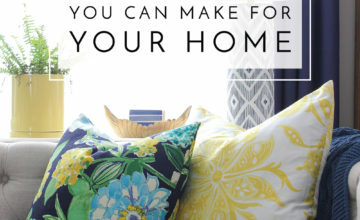 Not only are they really easy and inexpensive to make, but they work SO well. I get so much positive feedback on these, and even get requests to make doubles or new ones just for the beach/pool. Fun fact: I made Henry one of these about 6 years ago. He has used it every day since until I just made him a new and bigger one to match Sam’s. 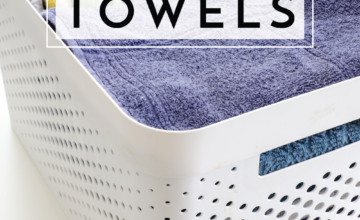 These towels are just a square with a hood, so they are small enough to work for babies but are big enough that even toddlers and kids can use them as they grow. I keep yards of terry cloth on hand so I can whip these up whenever a birth announcement arrives. Paired with a cute print (outside of the hood) and a cozy flannel (inside of the hood), they are as darling as they are functional. I really can’t recommend this one enough! 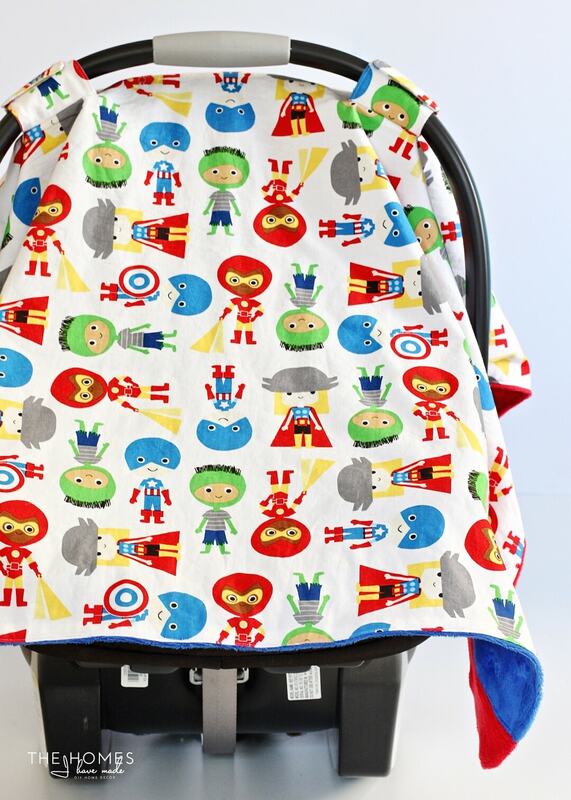 Car Seat Sewing Pattern by Everyday Chic. When I was first examining all the things I made for Henry and determining if I wanted/needed to make them again, I wasn’t sure about the carseat cover. I remember using it with Henry, but honestly couldn’t remember how much. 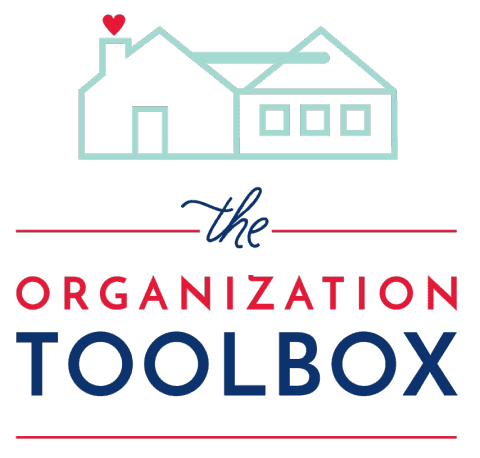 I then realized how much time Sam was going to spend in his carseat (being lugged around to big brother’s activities) and how sunny it is here in southern California, so I added it to the project list. I have to say that I am SO glad I did. Sam does spend a lot of time in his carseat (we walk to and from school, I take a walk every day, and we have other outings outside), and I am so glad I have a way to protect him from the sun and provide some shade when he’s napping. 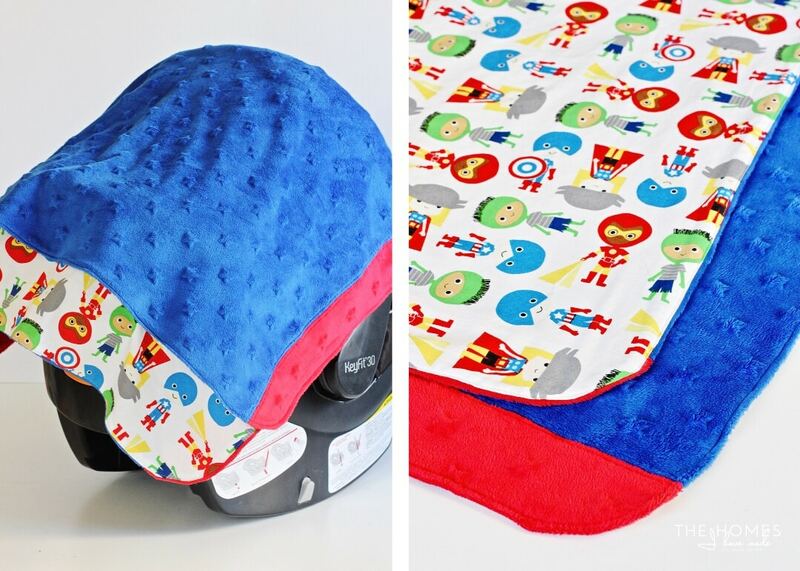 I lined this carseat cover with a combination of blue and red star minky (in a cute nod to the super heroes on the front), so I can take it off the carseat at friends’ houses and use it as a quick blanket to lay Sam down on. Half-Square Triangle Quilt by The Homes I Have Made. While I typically give hooded towels and burp cloths to friends having babies, for very close and special friends I’ve been known to make a handmade quilt. Now before you go thinking that I’m a saint-of-a-friend, please realize the quilt technique I most frequently use is the half-square-triangle. This technique is quite quick and simple, so making baby-sized quilts really is a super fast project (like done in a day fast). Admittedly, Sam’s baby quilt still isn’t sewn together; but when it is, I will be sure to update the tutorial link here. If you’re ahead of me and ready to finish off your quilt after sewing it together, this is the binding tutorial I refer to every time! 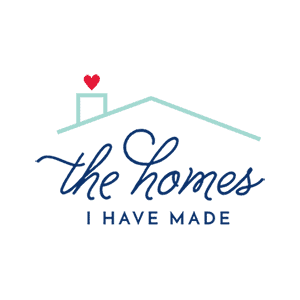 I realize I don’t cover every single project that could be sewn for baby here, but I really wanted to emphasize the projects I’ve found the most “worth it,” as well as the tutorials I lean on over and over again. 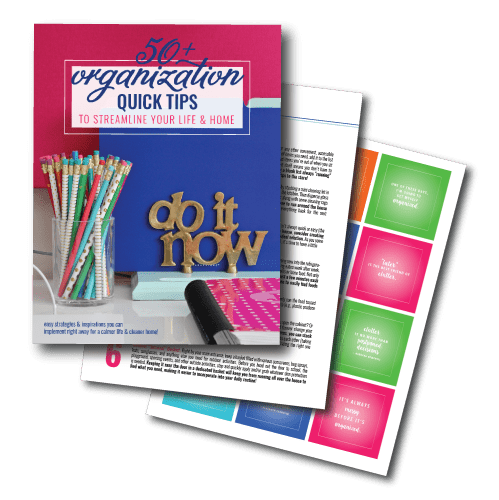 These projects are quick and easy to make, and go a long way in satisfying that nesting urge as you prepare for a new baby. 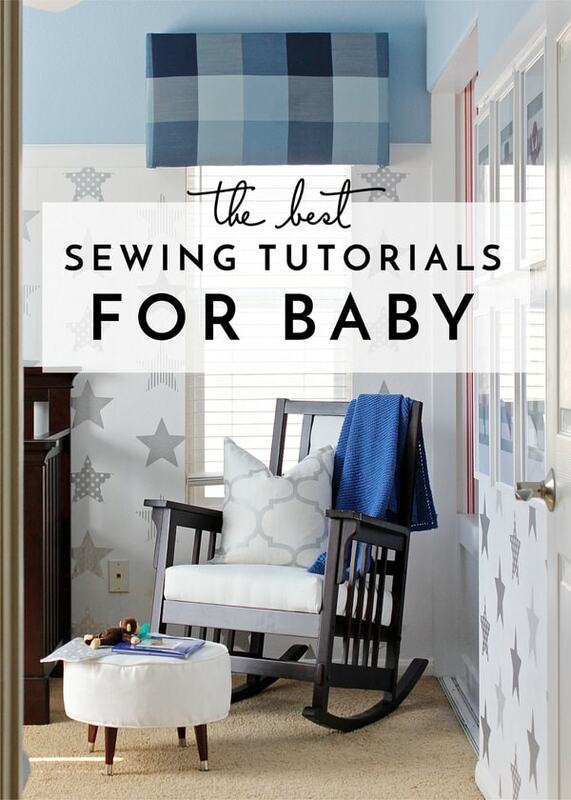 I’d love to know if you give these a try and like them as much as I do, or if you have any other projects that always top your “sewing for baby” list. Please share in the comments below! For the last two weeks, I’ve been able to squeeze in two posts/week; unfortunately though, I’m not quite ready to keep up that pace on a regular basis yet (hopefully, I will be able to soon!) I’m going to be spending the rest of this week getting a few projects I’ve already started wrapped up; and then I’ll be back here next Tuesday with the tutorial for my monogram wood “wreath” I showed you a few weeks back. See you then!